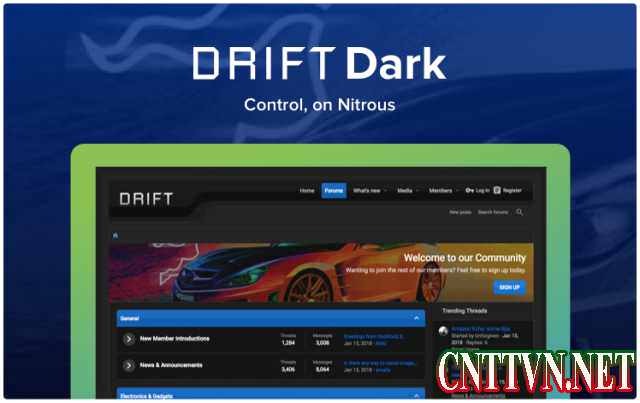 Drift Dark 2.0.6.0.0 - dark style design Drift for XenForo 2 from the studio ThemeHouse has a lot of settings: from adding your own banner, choosing either a flexible width or a fixed one. Standard, floating or sticky navigation and user panel, Dozens of different search and navigation options, Foldable nodes, sidebars, postbits and signatures, Many types of category descriptions (tooltip, built-in or none), Various input styles, such as a modal window , drop-down menu and slide and much more. | Style and add-ons by ThemeHouse Certain add-on by CrystalCommunity™ ©2016-2018.